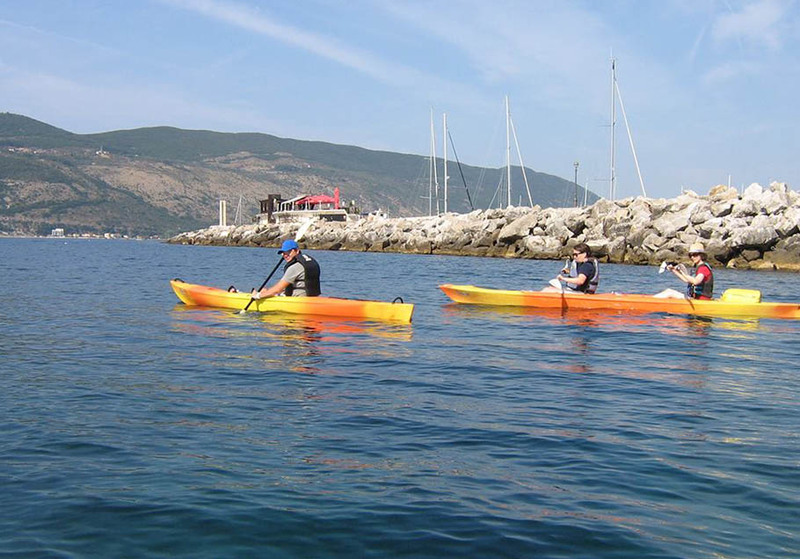 A brilliant way to experience the coast of Montenegro is of course on the sea water and one of our favourite activities is sea kayaking! 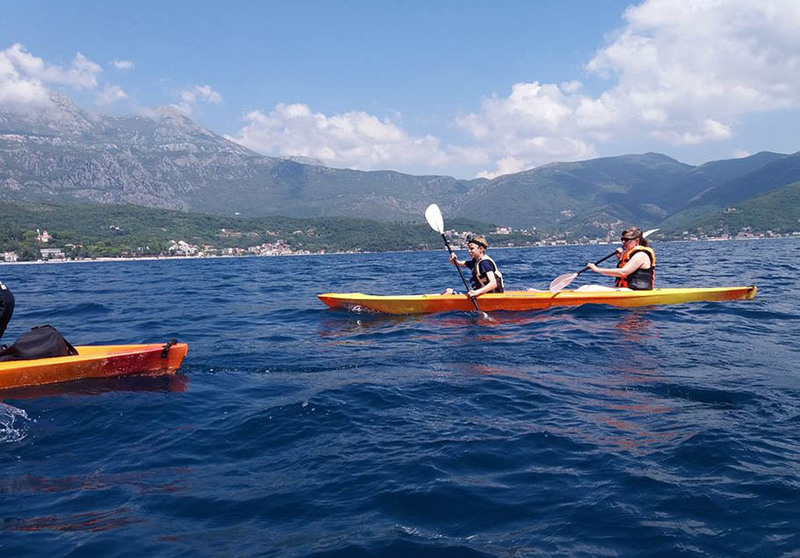 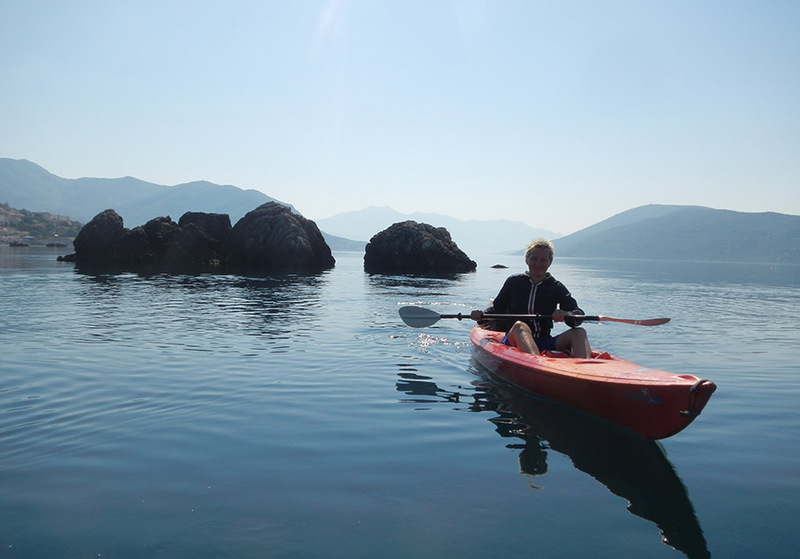 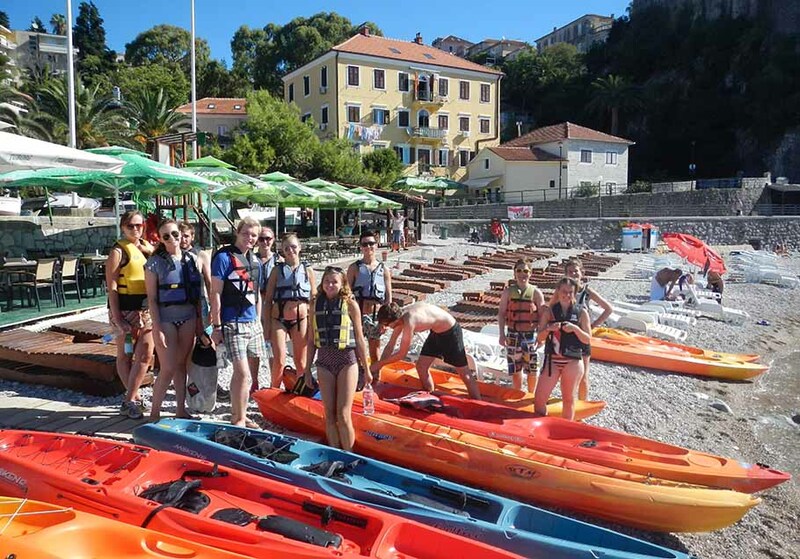 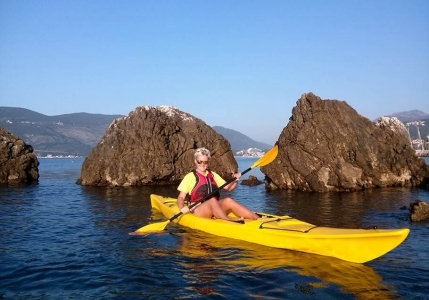 The sea Kayaking activity is part of our ‘Surf & Turf’ package and it’s great for our guests to relax and enjoy a day of kayaking in the beautiful Boka Bay with our licensed guides. 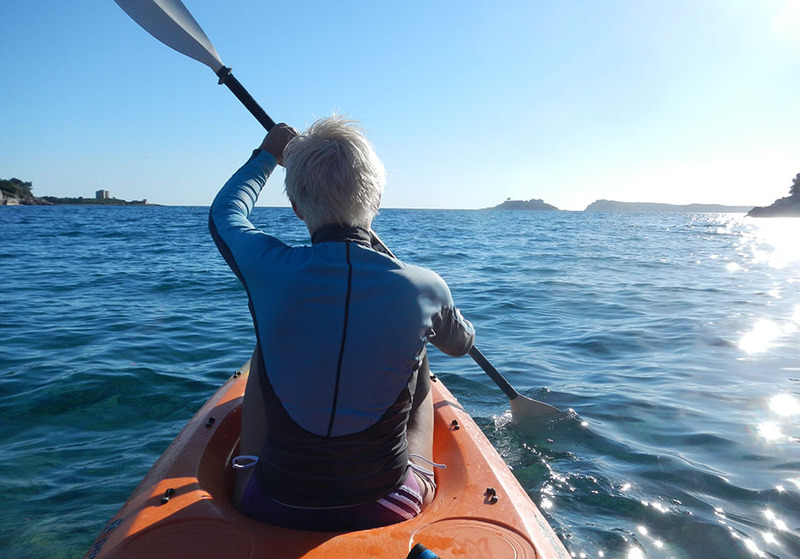 Sea kayaking can be both, a demanding sport or a great way to relax, soak in the scenery and take a deep breath of sea air. 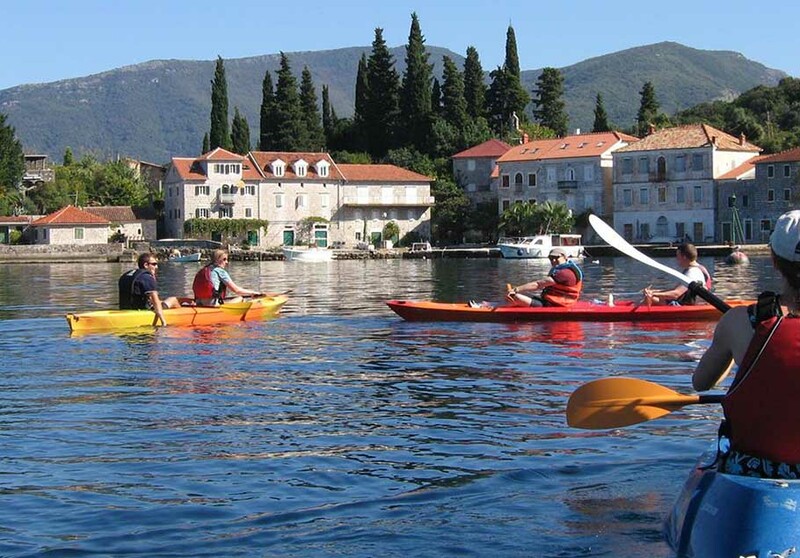 Paddling across the fjord you can explore its beauty from a different perspective and discover the picturesque fishing village of Rose at Lustica peninsula. 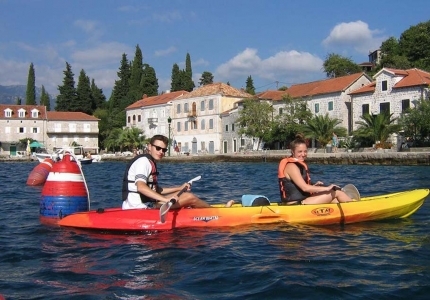 Guests will have fun and also discover colorful marine life and feel the rich history of the Montenegrin coast. 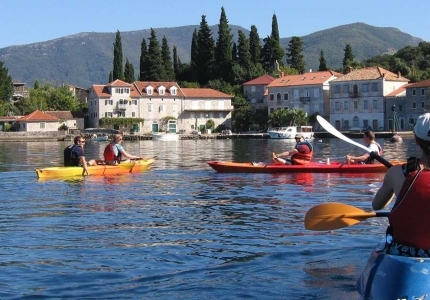 The activity is a half day tour and it’s great for guests to explore a typical Montenegrin village Rose, which won the ‘Wild Beauty’ award in 2013 with praise for being the best tourist destination in Montenegro The town is located opposite to Herceg Novi along the Lustica peninsula. 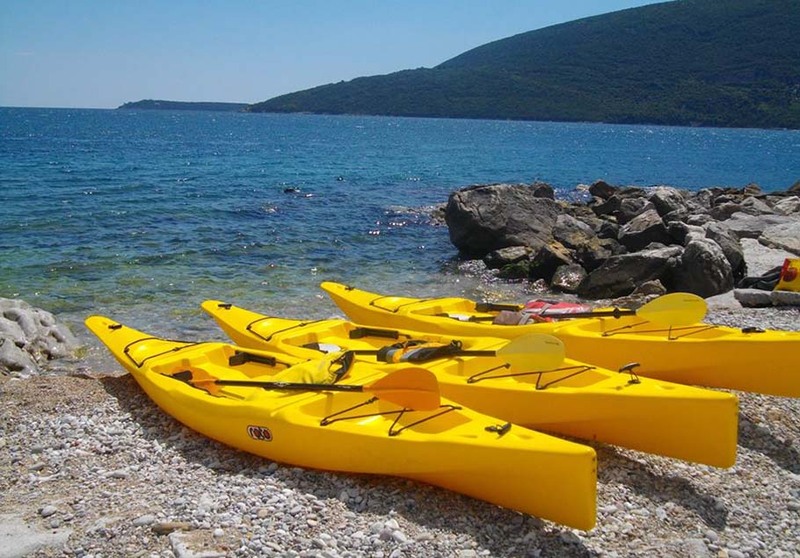 Our professional licensed guides use all professional equipment: single and double kayaks, life jackets, paddles, dry bags – etc. Depart from our coastal base house at 09.25 am. 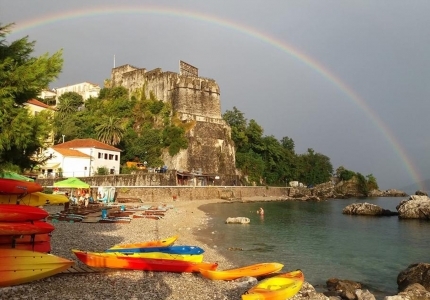 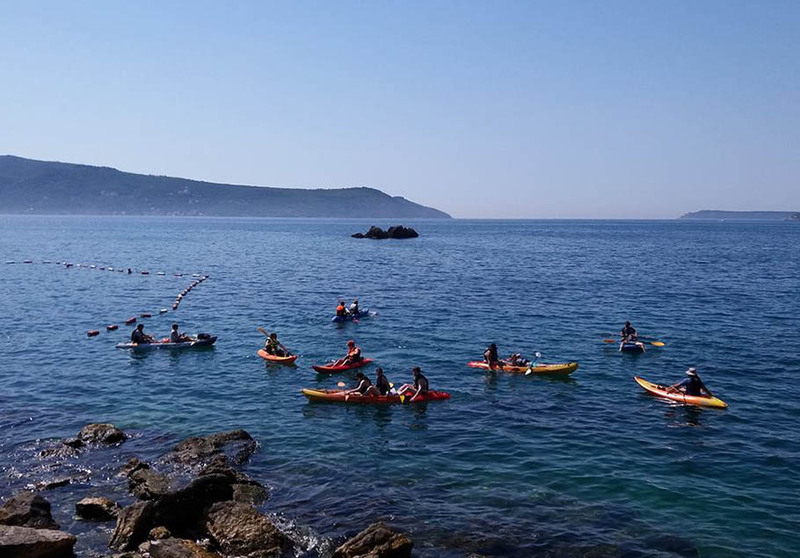 The day starts from underneath the Old town fortress beach, with the kayaking guides giving out instructions to our guests at approx 10.00 am. 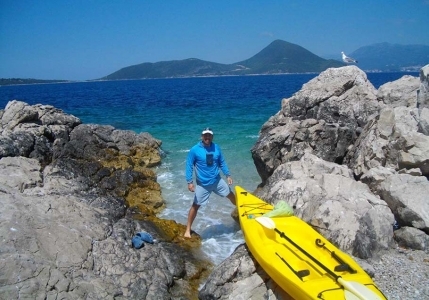 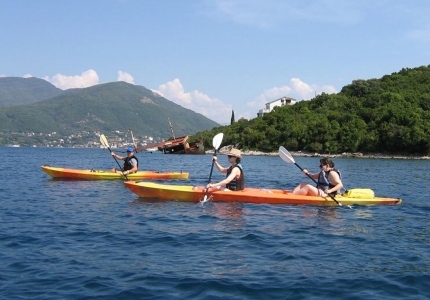 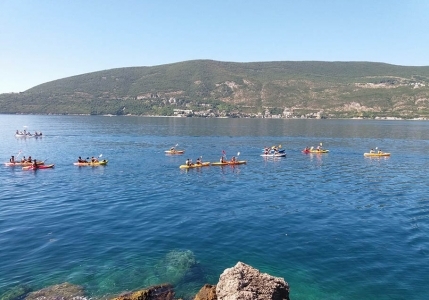 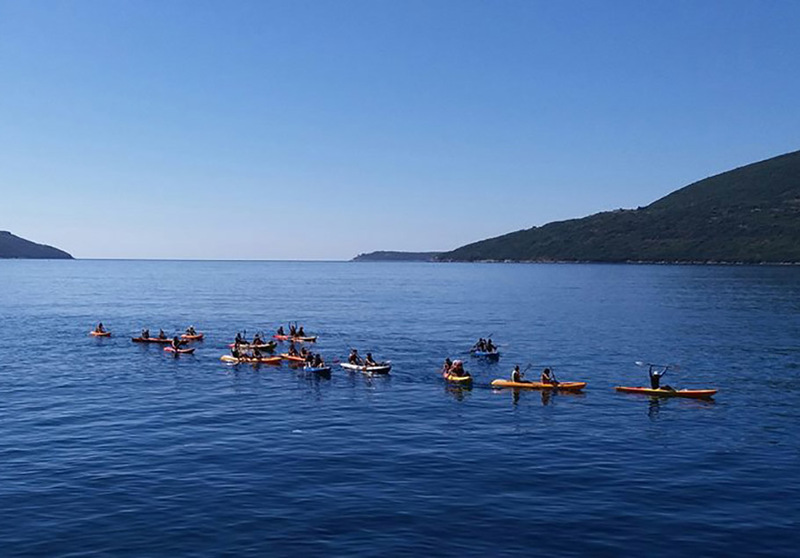 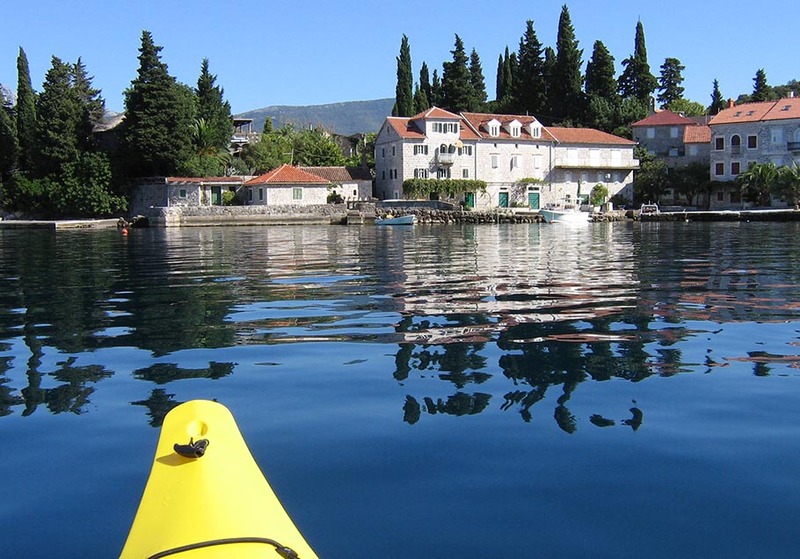 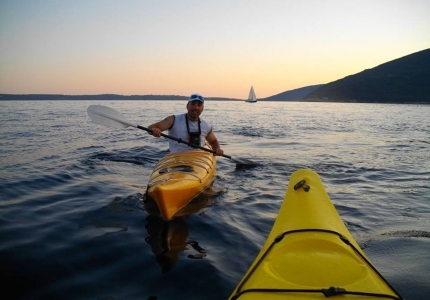 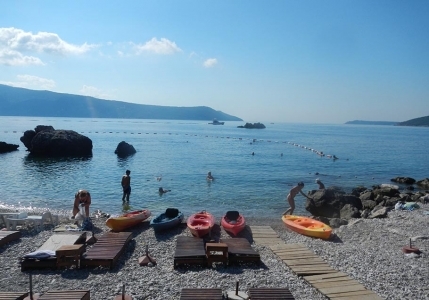 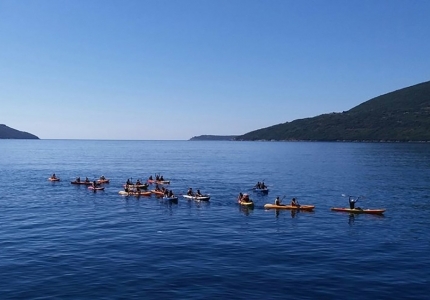 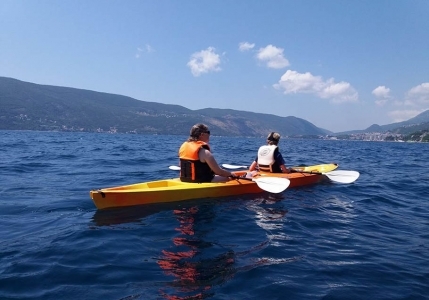 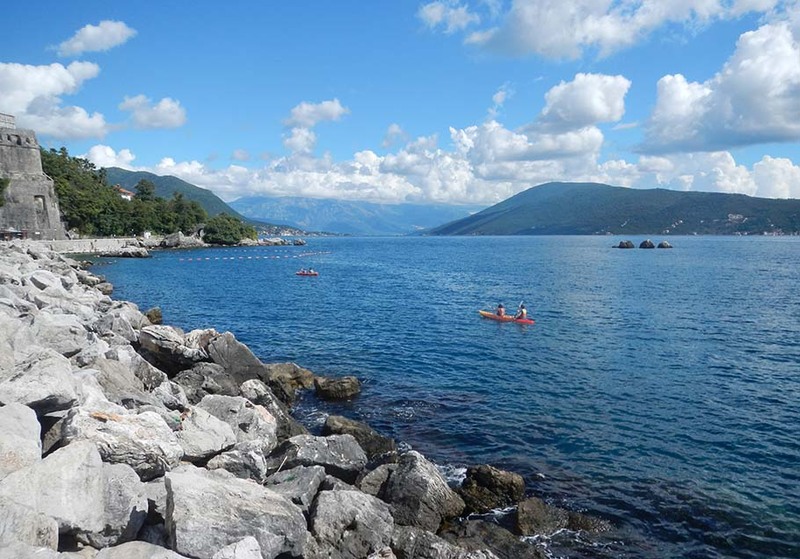 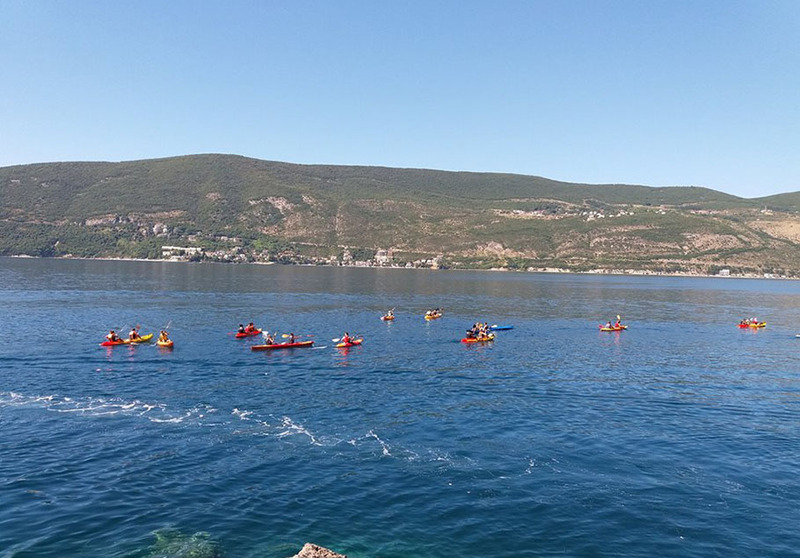 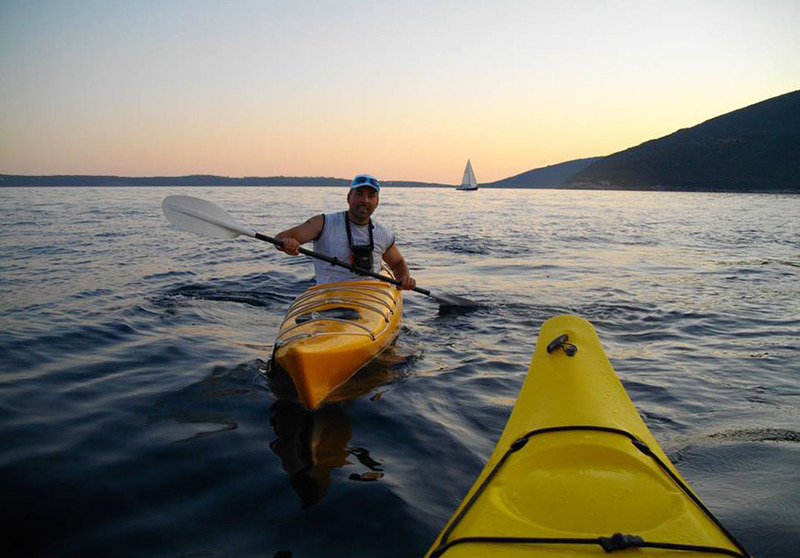 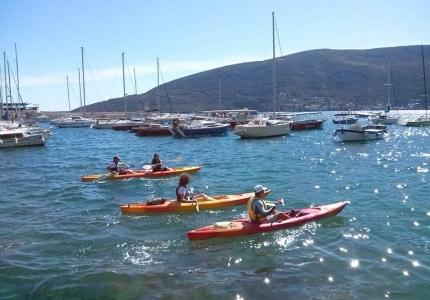 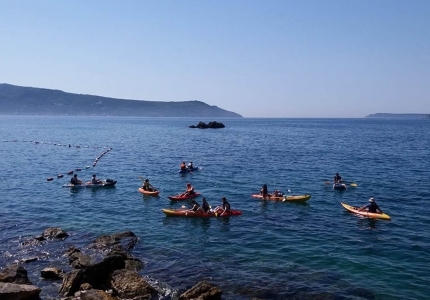 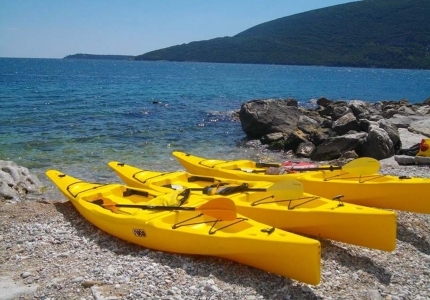 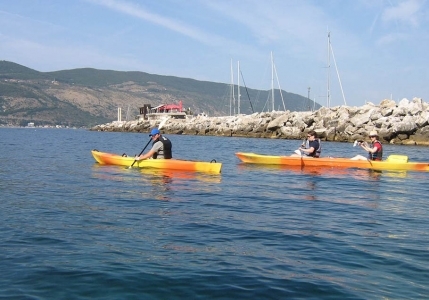 Guests paddle across the bay from Herceg Novi to the Lustica peninsula, at approx 10.15 am. 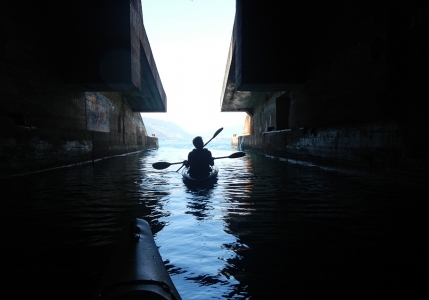 Along the way the 1st visit is an abandoned Submarine shelter, which is hidden inside the hill. 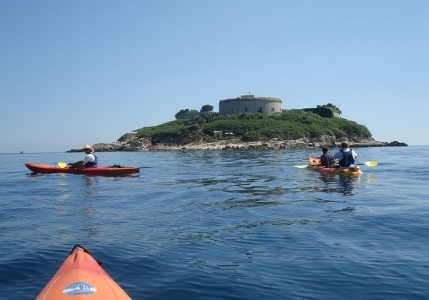 The shelter used to provide a safe haven for the Yugoslav Army Submarines, at approx 11.15 am. 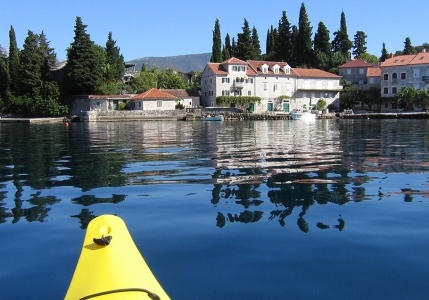 After this guests head to the small fishing village of Rose, reaching there at approx 11.45. Guests can enjoy a short break with swimming and snorkeling. 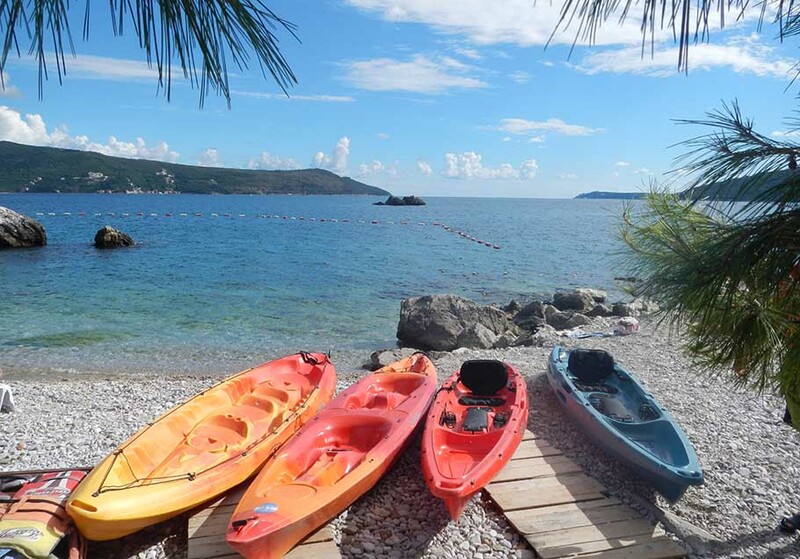 Lunch is served with the option of enjoying a drink at the local Restaurant, approx 12 noon. At approx 13.00 pm guests make the return trip back to Herceg Novi, making a loop and arriving on the Savina shoreline. 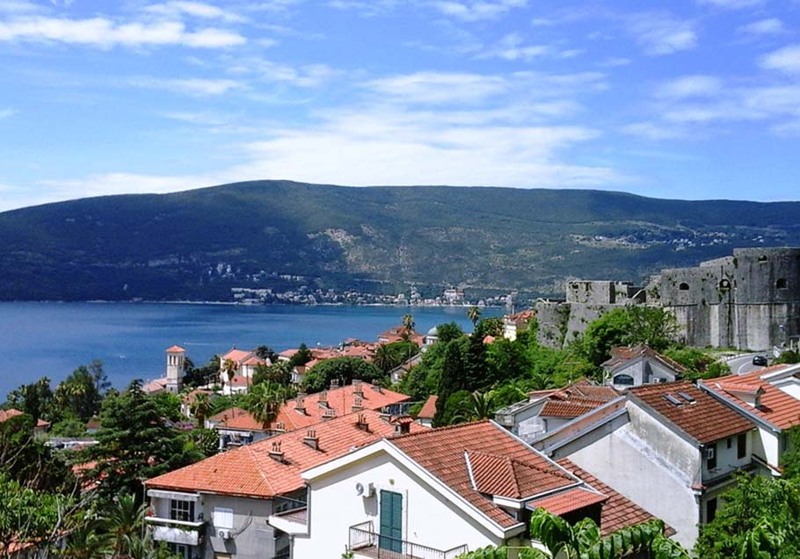 The return trip will provide wonderful views onto the of Herceg Novi, its fortress and the Old Town, only seen from the sea. 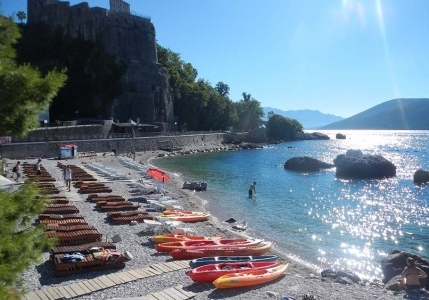 Return back to the beach underneath the fortress at approx 14.30 pm. 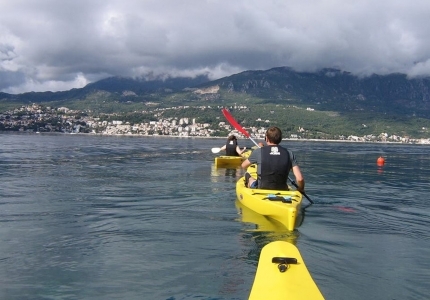 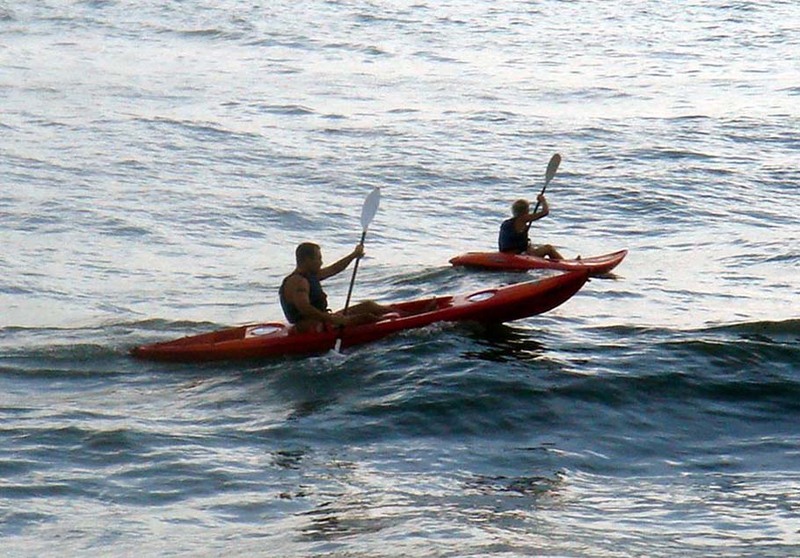 Sea Kayaking Price / This activity is included in our ‘Surf & Turf’ Adventure package. 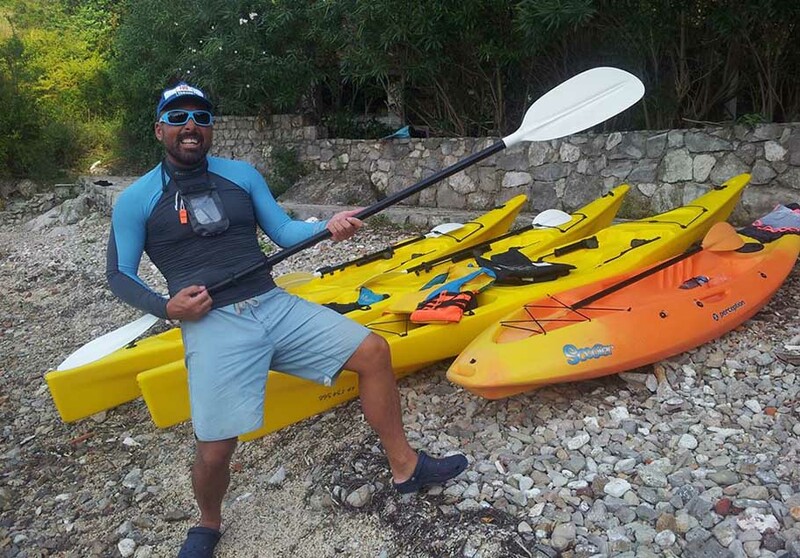 All required equipment i.e. 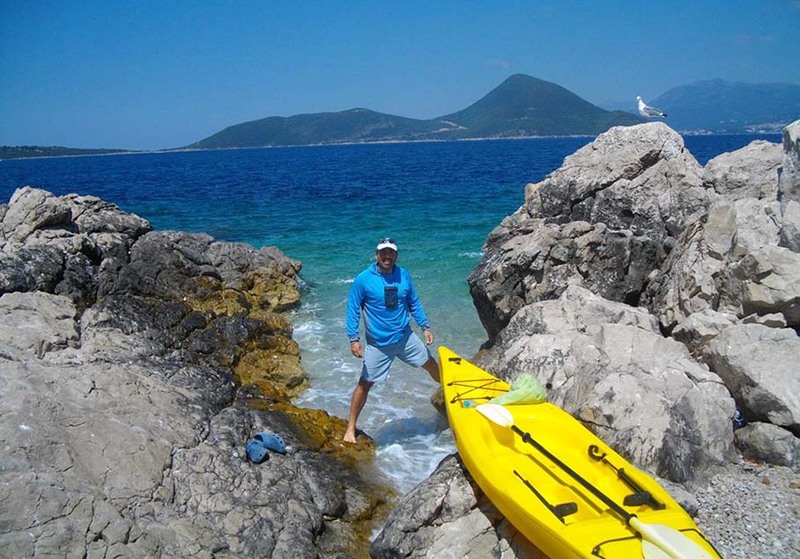 dry bags, lifejacket, etc.